Our Decision to Not Charge the Kids Rent. 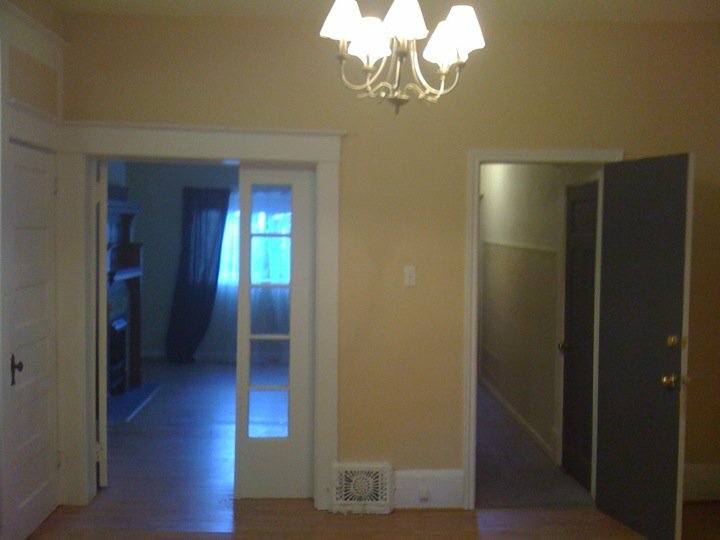 We bought a house in downtown Toronto. 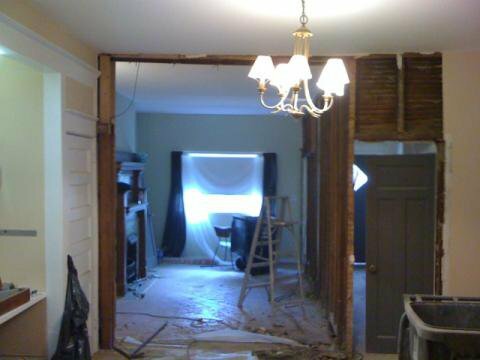 It appears to have been a rooming house at some point in its existence and, although we’d love to gain a bit of extra income by charging our kids rooming rent, we’ve decided instead to open it up by doing some major renos so it’s a comfortable livable space for five people and two dogs. 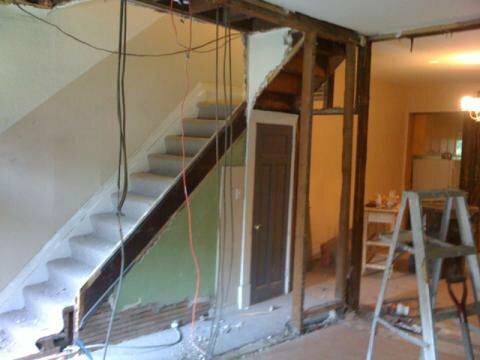 The majority of the work is to be done on the main floor and then some on the second floor, since there’s currently a fully functioning kitchen in what will be our bedroom. I do love late-night snacking and all, but a trip down the stairs to the fridge and microwave hasn’t been a problem in the past so… I do believe it’s safe to let the second kitchen go. I may have regrets later. 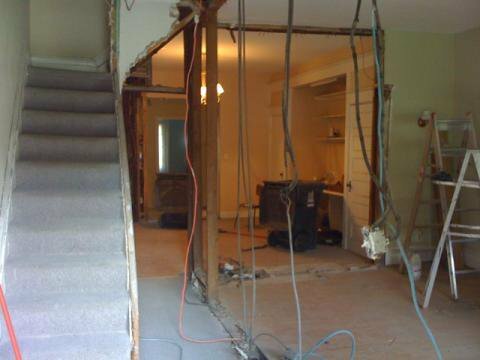 To this which, as you can see, has opened up the entire main floor and entry way. The kitchen area is in the back. The house is approximately 90 years old, and so many interesting things have been found in the walls and under the floorboards: European coins, hair roller pins, hot wheels, 40-year-old newspapers, and Barbie doll torsos to name a few. We’re still looking for the old land deed and map that can point us to the hidden bag of gold. I’ll give an early heads-up for all you #torkidlit tweeps: you can count on the Dec. tweetup being here! 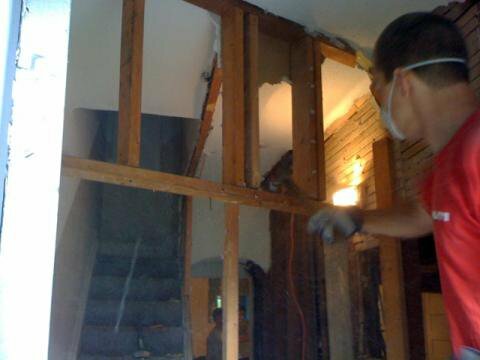 I promise you won’t have to wear face masks, hard hats, and steel-toe boots. There will be real furniture to sit on, too. And if we find that bag of gold, I’ll book a live band, provide swag bags, and cater in an all-you-can-eat-and-drink buffet. If not, well, come and we’ll have fun anyway. We always do. How fun! Today is Operation Book Drop Off Day (a.k.a. 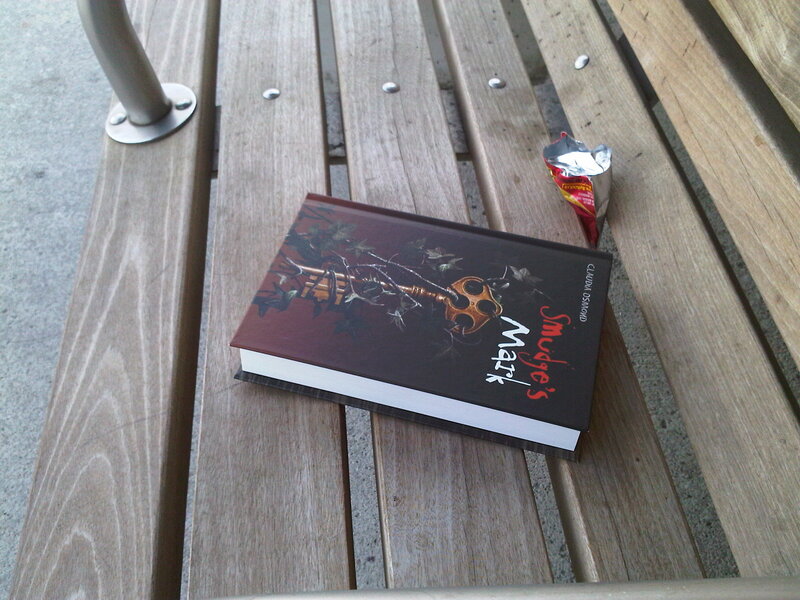 #operationtbd on Twitter) which means that if you want to play, you’re to take a book to a public place and … drop it off. Yep. Just like that. Needless to say, I just had to get in on the action! So, I signed a copy of SMUDGE’S MARK and wrote a note inside telling the finder that “Surprise! 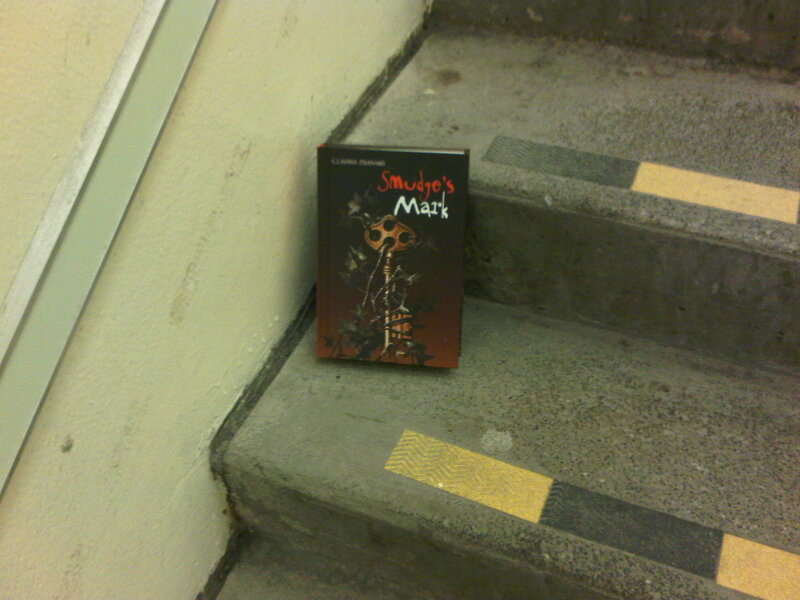 Finder’s Keepers!” Then I went to my neighborhood train station and strategically placed the book in a spot I knew it wouldn’t be overlooked: right on the steps that lead to and from the tracks! At least one person in the crowd that would soon be teeming out of the rush hour train would be curious enough to pick it up on their way up the stairs! Brilliant! I left the train station with a big smile on my face. I mean, who doesn’t love doing random things like this? And who wouldn’t love to find a free book, right? It was just so much fun, being all clandestine-like, dropping off a secret present for a secret person. Awesome! About half-way home, I was struck with a horrible thought. 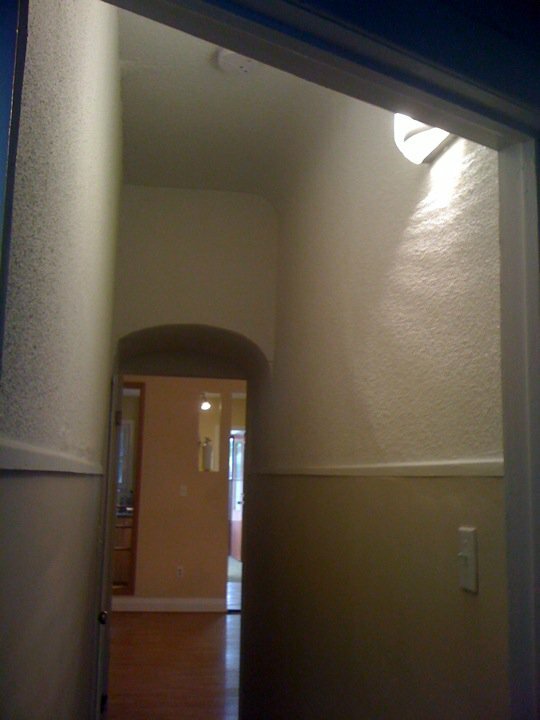 What if … what if someone goes DOWN the stairs. And what if that someone doesn’t see the book and trips on it and falls all the way down the steps and breaks a leg! Both legs! And splits their head open on the concrete! And maybe sprains their wrist(s) as they’re trying to break their fall! And spills their hot coffee all over them and (gasp!) crushes their brand new iPad that they drove all night to wait in line for! Crap! I signed the book! I wrote a “Surprise!” note in it! I’ll be sued! Horror! I’ve got to move that book! I did a u-turn as quickly as I could (and those aren’t always legal here, in Canada) and raced back to the train station (which isn’t legal anywhere, I don’t think) I parked, jumped out of the car, and speed-walked in the direction of the stairwell. I didn’t run because I didn’t want to look, um, obvious in case that poor person was already lying on the concrete, crying out in pain and at the loss of their iPad, with a crowd of people around them. Well, you’ll be happy to know that there was no one lying on the concrete, crying out in pain. (Or at the loss of their iPad) In fact, the stairwell was still empty. I scooped up my book and put it in a much safer place. Now I’ll be able to sleep tonight. Hello! And welcome to my new digs. You like? As you can see, I’ve decided to move my blog from point A (Blogger) to point B (WordPress). Why, you ask? Well, why the heck not? As you can also see I don’t have a name for my new blog yet and a new blog deserves a new name, don’t you think? I mean, no one reuses the title of their first book as the title of their second book, do they? And people don’t reuse the name of their first child as the name of their second child, right? Exactly. So this blog needs a new name. Have I mentioned that I feel another contest coming on? Well, here it is: Numerous minds are better than one, so help me name my new blog for a chance to win a copy of my recently released MG fantasy, SMUDGE’S MARK. Win it for yourself or, if you already own a copy (a huge high-five if you do!!) win it to give away to your friend, cousin, niece, nephew, teacher, librarian, coach, piano instructor, tutor, butcher, ice-cream truck guy; or just leave it on a park bench, in your school bus, or on the subway! So, who’s game? I’ll leave the contest open til Sunday, April 25, 2010. And come April 26, 2010 (Insert witty blog title here) will become ______________! To enter, leave a comment below with your suggestion. Make it fun! Make it creative! Make it snap, crackle, and pop! And most of all, make it leave a mark! Oh! And besides the book, I promise to throw in a few extra little goodies for the winner, too. 🙂 Just because I love giving stuff away! 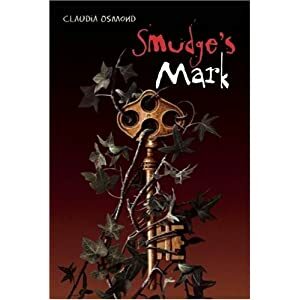 Just a quick reminder about the SMUDGE’S MARK giveaway over at The Novel Emporium. There’s a brand new SMUDGE’S MARK giveaway up, over here, at The Novel Emporium! Leave a comment telling me how you (or someone you know) are making your mark in your school, community, city, country or world. What are you doing to make a difference? How are you helping the world become a better place?The winning comment will be chosen on March 1, 2010 by 12 midnight EST. I’m looking forward to hearing how you’re making your MARK! Another SMUDGE’S MARK Book Giveaway! Leave a comment telling me how you (or someone you know) are making your mark in your school, community, city, country or world. What are you doing to make a difference? How are you helping the world become a better place? The winning comment will be chosen on March 1, 2010 by 12 midnight EST. Am I doing anything special for Smudge’s U.S. release, you ask? I’ve got a few things up my sleeve; one of them being this new giveaway on Goodreads. (open to U.S. and Canada only) I did both a Goodreads and Twitter giveaway for Smudge’s Canadian release and the books were all won by Americans! Yay for early support from south of the border! 🙂 Who knows? Maybe a Canadian will be one of the winners this time? Stay tuned for more giveaways as the release date gets closer. I’ll be posting one here on my blog, and one on Twitter as my publisher is generously giving me more books to have fun with! In the meantime, good luck over at Goodreads!